Learning to drive doesn't have to be a difficult process. PassMeFast likes to make things as simple as possible, ensuring that the road to your licence isn't a long one. In fact, we offer intensive driving tuition that can shorten the length of your course down to mere days. Plus, we cut through all of the red tape and offer fast-track practical tests to make the process even faster! If you've already taken a look at our course prices page and are still unsure as to which course is best for you, you've come to the right place. Here, we'll give you the complete rundown for all PassMeFast courses. We'll look at what kind of experience you should have for each course and how the course is broken down. Plus, we've included some quick clips summarising each course! This is our shortest course package, designed to be a refresher course for experienced and confident learner drivers. It's also the perfect option for drivers who have taken their test recently and failed. With one of our DVSA-approved instructors, you'll fine tune your driving and iron out any mistakes you happen to be making—whether it's poor observation or steering control, our instructors will sort you out! If you've failed a test recently, you'll be able to work on your weakest areas, using your feedback sheet as a focal point. This speedy course will also give you the chance to get to grips with the car you'll be using on the day of your test. When you start driving in different cars, you'll notice that certain controls are located in different places. This is especially important to bear in mind when it comes to “show me, tell me” questions, which require you to know your way around the car. By the end of this refresher course, though, you'll be more than test-ready. Due to how short this course is, you'll be expected to complete it over 1 to 2 days, depending on your availability and overall preferences. PassMeFast courses are all customisable—the cost, therefore, will depend on factors like transmission and whether you need a theory or practical test including. Want to get booked onto our 5 hour course today? It couldn't be easier. All you need to book in is a £150 deposit. Just give our sales team a call on 0333 123 4949, or click on the button below to book a course online. Another one of our refresher courses, the 10 hour course is ideal for learner drivers who are very experienced but looking for some general guidance from a DVSA-approved instructor. If you haven't had lessons in a few months but feel confident enough, this course will give you more than enough time to stretch your legs and get back into the swing of things. 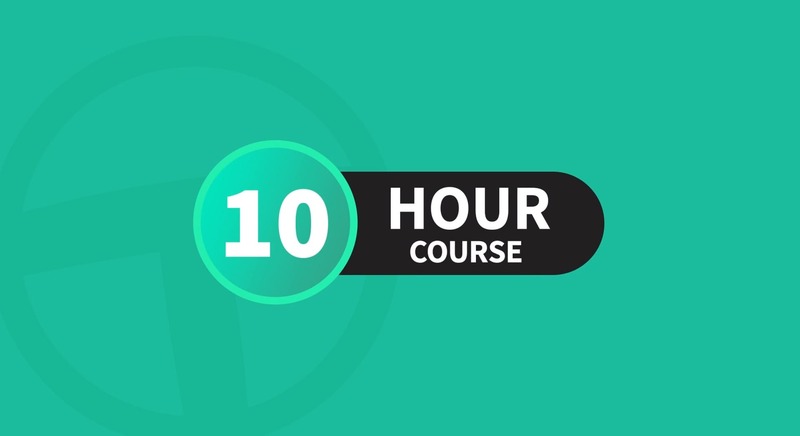 If you've taken a test that didn't go according to plan, you might want to opt for our 10 hour course to give yourself time to work on a few key areas. With one of our very own instructors, you'll work on the areas you need to improve upon the most. For example, if you're a bit shaky on multi-lane roundabouts or pulling up on the right, our instructors will have you doing it like a pro in no time! It's a great option for people looking for a good old-fashioned confidence boost before going in for their test. If you're looking to get on the road as soon as possible, you can book in today with just a £150 deposit. To do so, call us on 0333 123 4949 or click on the button below. With PassMeFast, you can pass fast without any added hassle! If you're a confident driver with around 25 hours of experience, you might want to opt for our 15 hour course. This is a really good option for someone whose general driving skills are good, but who is finding the manoeuvres a bit difficult to get to grips with. If you're struggling with parallel parking or reverse bay parking, this course gives you plenty of time to polish your skills before taking your test. Of course, this course isn't just restricted to tuition relating to manoeuvres. You can also take this time to focus on any areas of weakness, e.g., driving with a sat nav. Working with one of our very own experienced instructors, you can work on any issues you're worried about and boost your confidence until you're completely test-ready. Don't want to wait around? Want to get that test pass certificate ASAP? You're in luck—our 15 hour course can be taken over 3 to 6 days. It doesn't matter if you've got to wait to do lessons until after work or you can only work at weekends, everything is fitted around your personal schedule. Learn to drive doesn't have to be a slow and laborious experience. With PassMeFast, you could get your licence in days. Give us a call today on 0333 123 4949 to get booked onto a 15 hour course. Alternatively, give the button below a click to do it all online! This course is a great choice for learner drivers who feel like they're about halfway there with their driving. What does halfway look like? The ideal candidate should have completed around 20 hours of driving already—being able to control the car and driving confidently along the road. Essentially, if you've got all the basics down but need to work on the more advanced manoeuvres and road skills, you can't go wrong with the 20 hour course. So whether you're struggling with different types of pedestrian crossings or you get nervous approaching multi-lane roundabouts, it won't be a problem by the end of your course. You'll complete your driving lessons with a local, experienced instructor. The advantage to your instructor being local is that they'll know the ins and outs of the roads around your chosen test centre, preparing you for every kind of scenario. With your instructor, you'll fit your driving hours around your own availability—regardless of how busy your work or family is. Typically, our 20 hour course will take between 1 to 3 weeks to complete. If you're looking to get on the road as soon as possible, you've come to the right place. With just call to 0333 123 4949 and a £150 deposit, we can have you booked in today. Rather do it all online? Just click on the button below! While not our longest, our 25 hour course is a great fit for learners who have had driving experience but still need a lot of work before they feel like they're test-ready. With a PassMeFast instructor, you'll begin to learn the skills you've yet to cover—whether it's driving on busy A roads or driving at night, you can rest assured knowing you're in safe and experienced hands. As one of our longer courses, you can take the time to build up your driving experience until you feel like you're ready to face anything! At PassMeFast, we realise that driving shouldn't have a “one size fits all” approach. Every learner driver is different. Some learners absorb new information quickly and want to take lessons in an intensive manner. Other learners need a bit longer between lessons to get to grips with it all—or have limited availability on any given day. The speed and intensity of your course is entirely in your hands—when we say flexible, we mean flexible. It will take between 1 to 4 weeks to complete our 25 hour course. It couldn't be any easier to book onto a PassMeFast course. You can book in with one of our sales team members on 0333 123 4949—and get a second opinion on your course choice—or click on the button below to book our 25 hour course online. Have you already had some experience behind the wheel? Still got a while to go until you can fully ditch those ‘L' plates? Our 30 hour course is targeted at learners who are confident with the fundamentals of driving but still need more experience in the driver's seat. Throughout your course, you'll build up all the necessary driving skills you need to not only pass your driving test, but also to become a safe and confident driver on the road once you've passed. It doesn't matter if you're an anxious driver or raring to go—our course will prepare you for anything. A lot of driving schools out there prefer to offer lessons that take place weeks apart. More often than not, you end up spending most of your lesson refreshing the skills you learnt in the previous one! At PassMeFast, we've found that intensive lessons seem to work better with most learners. This means that you can get on the road in mere days or weeks. Of course, if you've got a busy schedule or you need a bit of time between lessons, you can also opt for a semi-intensive course. We aim to tailor your course to your personal preferences! You can expect to complete our 30 hour course between 1 and 5 weeks. As the name suggests, our main aim is to get learner drivers passed fast—without any added fuss. All you've got to do to get started on your journey to getting your licence is to give us a ring on 0333 123 4949. With a quick deposit of £150, you'll be good to go. Alternatively, book online using the button below! So, you're not a complete beginner to driving. That is, you've driven a car a few times, but have very limited driving experience and knowledge. If you're a learner with around 5 to 7 hours of experience, you'll find the perfect solution in our 35 hour course package. This course will involve you taking to the local roads around your chosen test centre, building up on your current experience to ensure you'll fly through your practical test with no fuss at all. Not sure what the crash course process entails? Read up on our guide to crash courses. One of the biggest reasons why people are reluctant to take driving courses is due to their limited availability. Whether it's a busy work life or a demanding family life, it can be difficult to fit in lessons without it being too taxing. Fortunately, we take a very flexible approach with our courses. Working with your instructor, you can fit your lessons in and around your schedule—you could do lessons before or after work, or even at the weekend! Depending on the intensity of your course, the 35 hour course typically takes between 1 to 6 weeks. Learning to drive doesn't have to be a long process. With us, you can ditch the ‘L' plates in a matter of days or weeks. Call us on 0333 123 4949 to book onto our 35 hour course today. All you need is a £150 deposit and you're good to go. Alternatively, if you'd prefer, you can book online yourself using the button below. Not all beginners have to take our longest course—48 hours—which is why we created the 40 hour course. Designed for confident beginners, our 40 hour course is great if you've got a bit of driving experience under your belt. Some learners get into a car and something just clicks—if this is the case for you, this course might just be ideal. Over the span of the course, you'll fly through all the need-to-know driving skills, all the while listening to your PassMeFast instructor to become a safe and confident driver on the road. One of the biggest selling points of PassMeFast is our flexibility. It doesn't matter if you've got a busy schedule, if you can only drive at night or weekends, or if you want to get passed as soon as possible—our courses are designed to be completed as intensively as you'd like. As such, learners can complete our 40 hour course between 2 to 8 weeks. This will vary depending on your availability, location and chosen test centre. You could be on the road in mere weeks with PassMeFast—jumping the long driving test waiting times completely. All you've got to do to get booked in right now is pay a deposit of £150. You can call us on 0333 123 4949 to get started now or click on the button below—it's that simple! This is our longest and most thorough course package—designed specifically for complete beginners. If you've never set foot in a car or you've had next-to-no lessons, this is the perfect course for you. With a PassMeFast instructor, you'll start off learning the most basic driving skills, such as getting to grips with the road and the intricacies of clutch control. You'll keep on working through your hours until you progress to the most advanced skills, including the manoeuvres you'll need to know to pass your test. The beauty of PassMeFast courses is that you can complete them as quickly or as slowly as you like. As a beginner, you might prefer to take things slow, completing a couple of hours per week. Or, you might be the complete opposite and want to get on the road ASAP. Typically speaking, you're looking at completing a 48 hour course between 3 to 12 weeks, depending on the intensity of the course, the transmission or the car and your chosen test centre. Interested? Simply give us a ring on 0333 123 4949 to get booked onto our 48 hour course. All you need is a £150 deposit to get started right away! Alternatively, click on the button below to book online. If you've read each course description and you're still not sure which one is best for you, don't worry—we're here to make things easier for you. If you give us a call on 0333 123 4949, you can speak directly to one of our sales team members. They're experienced in helping learner drivers figure out how many hours they need until they're test-ready. Alternatively, you can opt for one of our course assessments. Here, you'll get in a car with one our instructors and drive around so that they can gauge how many lessons you'll need. There are many reasons to take a PassMeFast course assessment—the least of which is that you'll get the opinion of an experienced ADI. Don't miss out—contact us today to get started or book a course online and take one step closer to getting on the road! Looking for driving tips, guides and tricks? Look no further than the PassMeFast blog!